Madison James 19136 is totally an A-List dress! Simple but yet so elegant and chic. 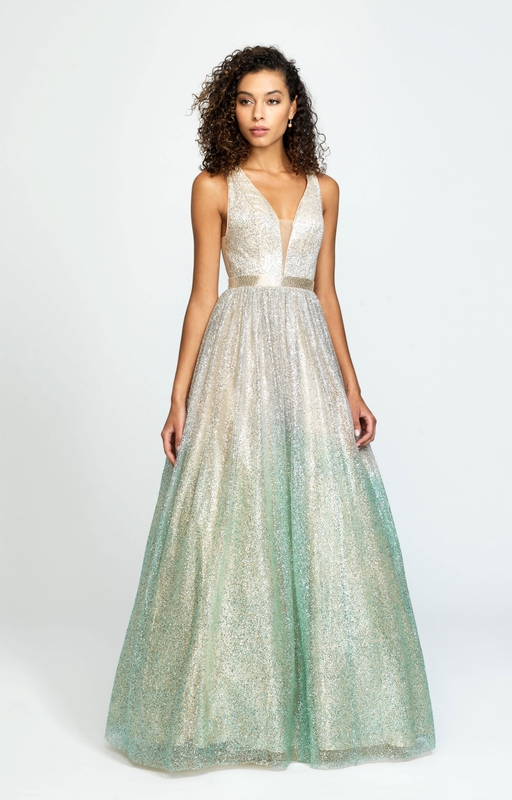 This gown is a-line dress with glitter covering the entire dress. The tulle gives you the nice amount of volume you want without it being a ballgown. Go to prom looking like an A-Lister in this dress! !